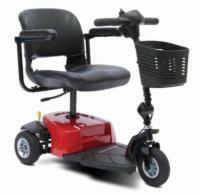 Modular ramps are intended as stationary solutions to height obstructions in and around homes and businesses. If you can no longer negotiate a series of steps leading to an exterior entrance to your home, or if you're seeking to make your business more accessible to mobility-impaired customers and clients, modular ramps are an excellent long-term solution. 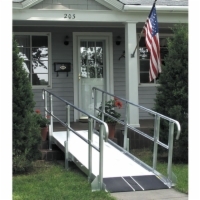 Aluminum modular ramp that meets ADA rules for safety while still featuring hassle-free installation and easy reconfiguration.